Rare opportunity to own highly upgraded, end unit adjacent to Haisley Homestead's common area complete with towering pine trees, seasonal stream and less than 10 minutes to Prescott's historic courthouse square! This home boasts extensive oak hardwood floors, open/great room concept complete with gas fireplace & tranquil rear deck overlooking additional common area with boulders and mature vegetation! Kitchen offers gorgeous granite countertops, new faucet & sink, breakfast bar, Stainless Steel Frigidaire appliance package including convection gas range/oven and refrigerator, raised panel oak cabinetry & pantry. Master suite boasts solid surface vanity with elegant vessel sink, tiled walk-in shower and large walk-in closet with private washer & dryer. CONTINUE:Recent improvements & updates include lighting, hardware, plumbing fixtures, water heater, rear Trex deck & new roof in 2017! 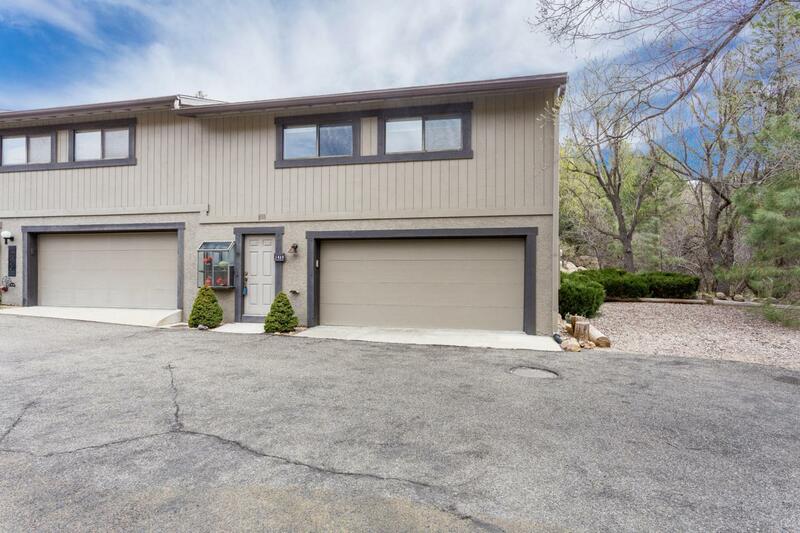 Off the garage there is an additional washer & dryer set up (utility room), plus expansive storage or possible workshop area behind garage with numerous possibilities! HOA covers all common area landscaping and common areas, exterior maintenance to property including roof plus water, sewer & trash!